Kirkcudbright Town - More information on Kirkcudbright. Old Kirkcudbright - A collection of items descriptive of past life in the ancient Parish and Burgh of Kirkcudbright. Dalbeattie Museum - Local museum in Dalbeattie. Galloway Glens Landscape Partnership - A Heritage Lottery Funded Project to develop projects in the area. Gatehouse of Fleet - Community website for Gatehouse of Fleet. Creetown Heritage Museuem - Place of ineterest to visit in nearby Creetown. 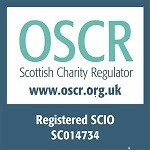 Voluntary Action Fund - Organisation that funds Third Sector work across Scotland. Dumfries and Galloway Council - Local Authority website. NHS Dumfries and Galloway - Local NHS website. Castle Maclellan Foods - Local producer of fine foods. Margaret Milligan - Local artist who does workshops and classes. Brghouse Bay Golf Club - Local golf club at caravan site near to Kirkcudbright. Kirkcudbright Golf Club - Local golf club in Kirkcudbright. Castle Douglas Golf Club - Local golf club in Castle Douglas. Dalbeattie Golf Club - Local golf club in Dalbeattie. Colvend Golf Club - Local golf club near Dalbeattie. Cally Palace Golf Club - Golf club in the grounds of local hotel. New Galloway Golf Club - Local golf club at New Galloway. Gatehouse of Fleet Golf Club - Local golf club in Gatehouse of Fleet. Southerness Golf Club - Locallinks course on Solway coast. Kirkcudbright Swimming Pool - Local pool and gym facility. Kirkcudbright History Society - Local group that examines and discusses the local history. Kirkcudbright Parish Church - Local Church of Scotland. Castle Douglas Parish Church - Local church in Castle Douglas. Stewartry U3A - University of the Third Age in The Stewartry, Dumfries & Galloway, Scotland. Stewartry Bowling Association - Local green bowling association. Stewartry Rugby Club - Local Castle Douglas rugby club. Stewartry Museum - Local museum. Stewartry Agricultural Society - Local Agricultural Society. The Fullarton Theatre - Local theatre in Castle Douglas. The IT Centre - Local centre in Castle Douglas for training in IT. Castle Douglas Rotary Club - Local Rotary Club in Castle Douglas. Kirkcudbright Rotary Club - Local Rotary Club in Kirkcudbright. Kirkcudbright Inner Wheel - Ladies charity organisation in Kirkcudbright. Dalbeattie Rotary Club - Local Rotary Club in Dalbeattie. Dumfriesshire and Stewartry Womens Aid - Local organisation that supports women and children affected by domestic abuse. Stewartry Community Safety Forum - Group that supports community safety in the Stewartry.